Handguns are reactive instruments. They are carried on the person to answer a threat. They may be kept at home ready to address a threat in the home. If we have warning, then we are most often better advised to deploy a rifle or shotgun. The Judge is an interesting handgun. The handgun then is the weapon of opportunity. While handguns are not the most powerful firearms, they are the ones we are most likely to have on hand when a firearm is needed to save our life. I have spent several months evaluating the Taurus Judge and have formed a favorable opinion of the revolver for specialized use. The Judge is a five-shot revolver that chambers both the .410 bore shotgun shell or a .45 Colt cartridge. This means real versatility. By the same token, the design limits the accuracy and range of the revolver. As a pure, short-range home defender, the Taurus Judge has merit. There is a considerable argument that getting on target fast and getting a hit—any hit—very fast is critical. This is true. I have taught that it is better to slow down and get a center hit than a fast miss. This doesn’t mean a fast hit isn’t possible; it simply demands practice. This is a recovered slug and ball from the Hornady .410 loading. The Judge addresses this need by offering a shot payload. The .410 bore isn’t a powerhouse, but with the right load—and that is the key—it offers a viable defense option. Surprisingly, my evaluation indicates the Taurus Judge may be viable for protection against predators at close range as well. 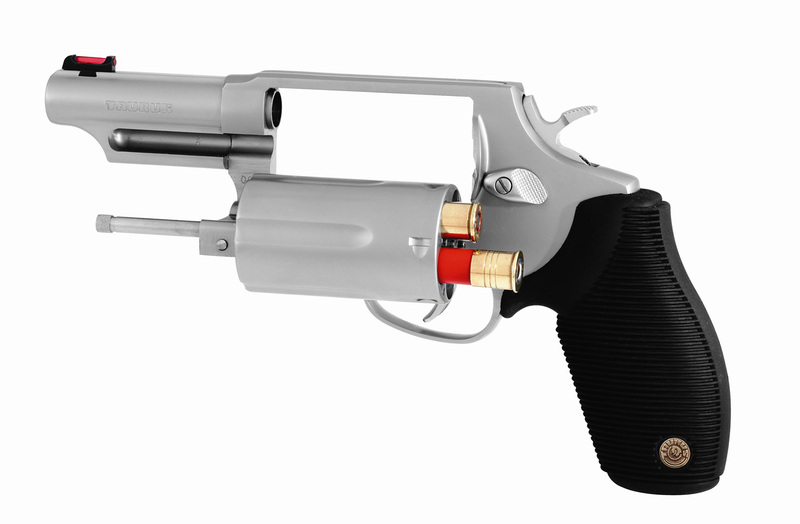 My test piece is perhaps the most common Judge, a steel frame revolver with a 3.0-inch barrel. The revolver is light enough, handles better than its ungainly appearance suggests, and offers good hit probability for those that practice. Fit, finish and smoothness of action are good. The revolver features a red fiber optic front sight. This sight offers a good aiming point and aids in rapid target acquisition. A short barrel handgun with a smooth bore firing a shotgun shell is illegal, the .410 and the .45 Colt are close enough that Taurus was able to design and manufacture a revolver chambered for both the .410 shotgun shell and .45 Colt cartridge. There is rifling but it is fairly shallow. This is a pattern from the Federal buckshot load at about 15 feet. 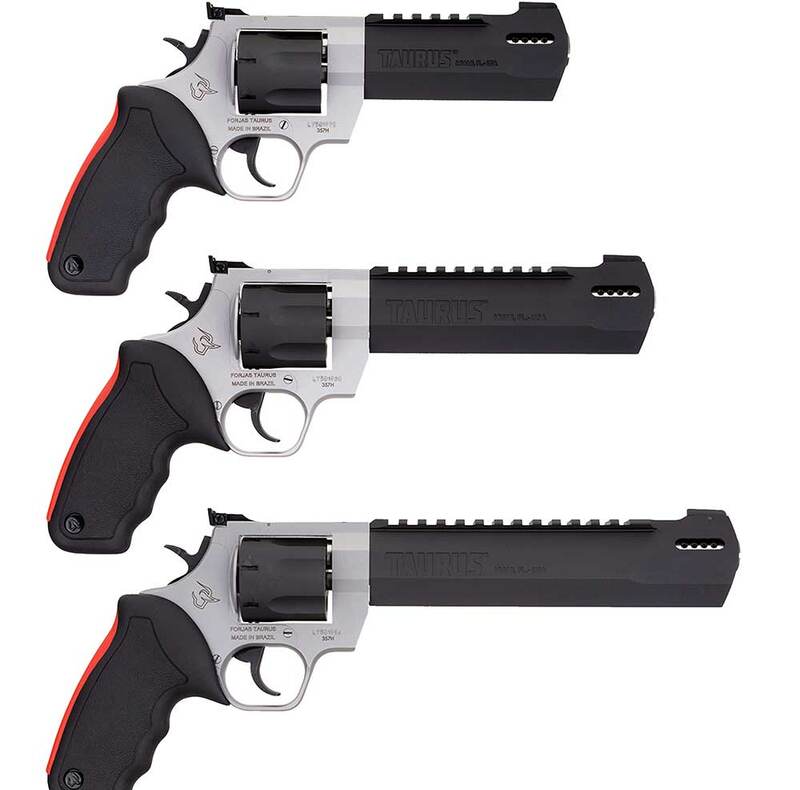 Like all double action revolvers, the Judge is simple to operate. Open the cylinder, load the chambers, and press the trigger to fire. No slide to rack, and no safety to operate. The concept is to allow the shooter to get a fast hit with a load of shot. 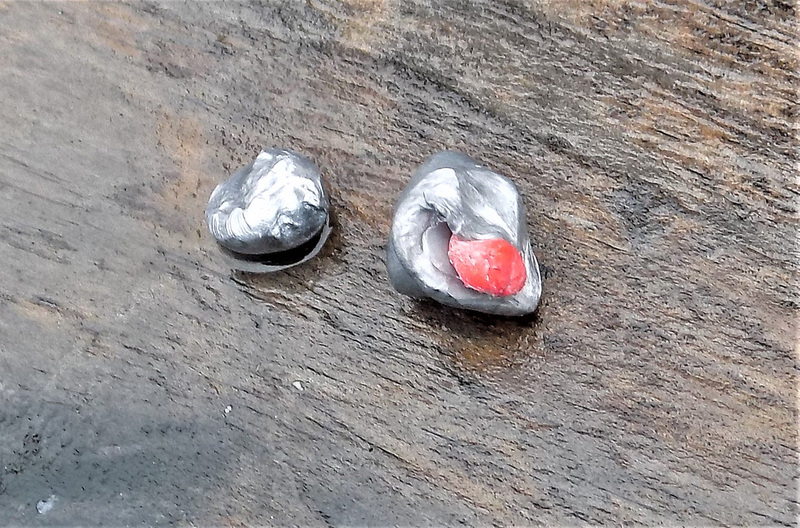 While each individual buckshot pellet doesn’t carry much energy the effect of the loads hitting instantly with several projectiles offers excellent wound potential. You may have seen ill-conceived videos and hype in which the Taurus Judge is fired at a target and the target is peppered with hits. Birdshot is a tiny shot grade intended to humanely kill a bird with a few hits. It is by no means useful for personal defense. Like firing a full-size shotgun, birdshot is fine for practice but not personal defense. A charge of birdshot from 7- to 9 shot carries hundreds of small pellets that form a pattern. 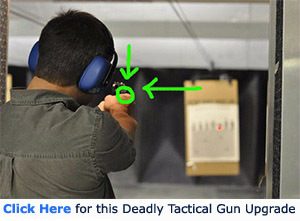 At the typical personal defense range, this pattern runs 18 to 32 inches. This is 7 yards, past that birdshot is useless. Worse, the small shot penetrates only a few inches. A felon wearing a heavy winter jacket may not be hurt at all. At about 15 feet, the Federal 4 buckshot load, carrying #3 buckshot, holds a cohesive pattern of less than three inches. This is a preferred load for those using the .410 load for personal defense. As range progress misses are inevitable. The Federal load is advertised at about 750 fps but actually clocked over 800 fps in the Judge. The total payload is 292 grains. Winchester offers a PDX load with a total payload of over 300 grains, with three flat disks and a load of BB Shot. With this load, the pattern is often quite large (as much as 16 inches at 15 feet) with the disks striking the center of the target. The Hornady .410 defense load features a .41 caliber slug followed by two round balls. The slug generally tracks straight with the point of aim with the balls radiating around the center. 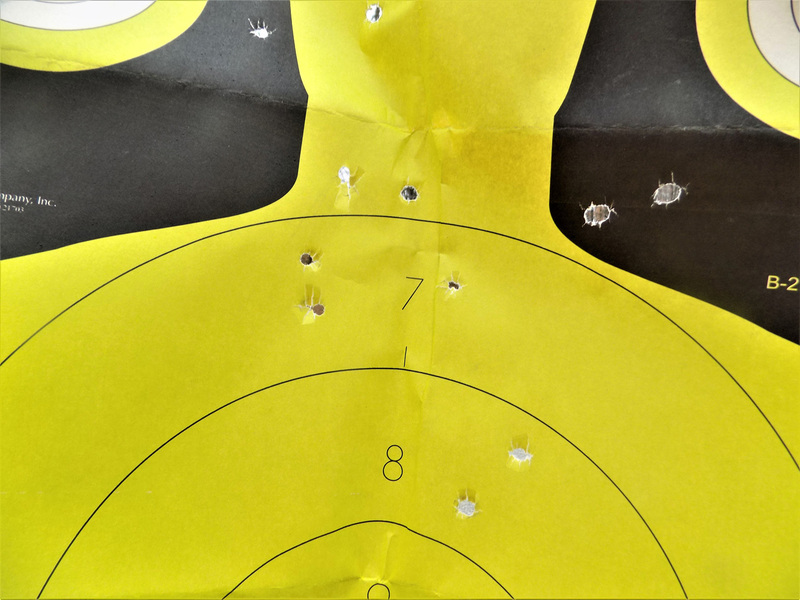 It is essential you pattern the shot on a paper target to determine how the shot spreads at 5 to 10 yards. In my opinion, 7 yards is the outside range for these loads, although the Hornady slug with its FTX design might be useful a bit beyond. The bottom line, buckshot and specialty loads are useful for home defense and for short-range defense against predators. Penetration tests in water jugs and wet newsprint indicate these loads will produce a serious wound. The Hornady Triple Defense load offers good wound potential. According to A Prepper’s Guide To Shotguns, birdshot may penetrate a six-inch gallon jug and some shot will make it to the second jug, but very few. Federal’s 2 ½-inch shell with 4 OOO balls penetrates over 24 inches, which might correlate to 18 inches in gelatin. That is excellent. The Winchester PDX load exhibits a much larger pattern. However, the three disks in the PDX offer a 3 x 4 pattern at 15 feet. The much larger pattern is made up of 12 BBs. The Hornady FTX slug penetrates 15 inches from this revolver, with the two round balls making a total 3 to 5 inch group at 15 feet. These heavy loads should produce devastating results at 15 feet to perhaps 21 feet, the magic 7 yard average range. In truth across a room or bedroom is more likely. The Judge must be aimed, but the pattern has spread enough to aid in hitting at 10 to 15 feet. This handgun isn’t useful past 21 feet with shot loads. 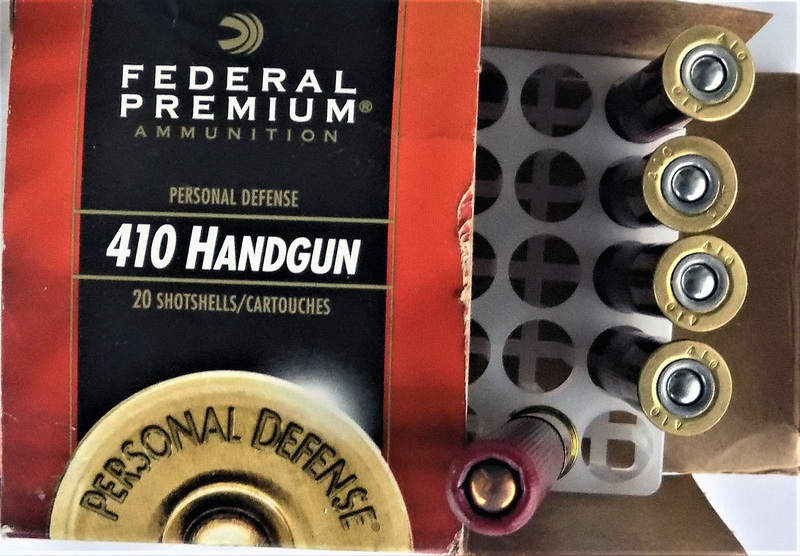 Federal’s buckshot load is a simple and effective solution to .410 buckshot. Another option is to load the Judge with .45 Colt ammunition. In order to meet Federal law pertaining to handguns and shotshells the Judge is a .45 Colt revolver with the option of firing .410 shells. The barrel is rifled. The long jump of the .45 Colt bullet from the chamber to the barrel throat would seem to limit both velocity and accuracy. In some cases this is true. However, my most recent testing indicates that this loss isn’t always what we think it may be. The Judge is plenty strong for the heaviest loads, including hard cast SWC bullet handloads. It depends on how much recoil tolerance you have. 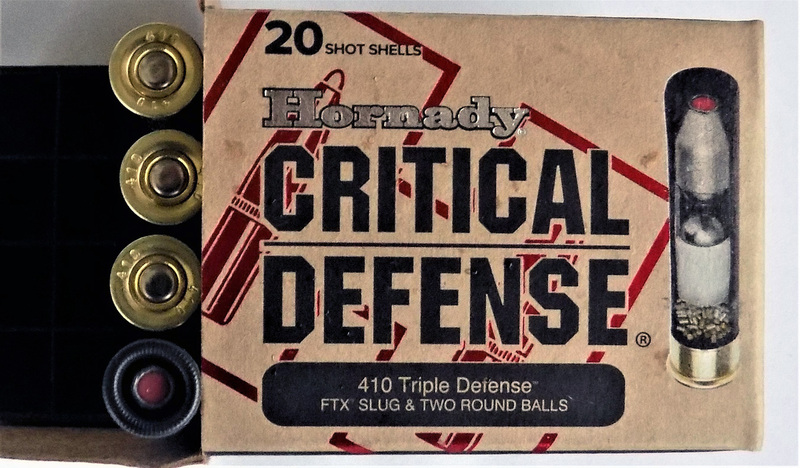 A good choice for personal defense is the Hornady Critical Defense. This 185-grain bullet has a good reputation for expansion and penetration. Velocity is 891 fps form the three-inch barrel Taurus Judge. Recoil is modest. This load strikes to the point of aim. 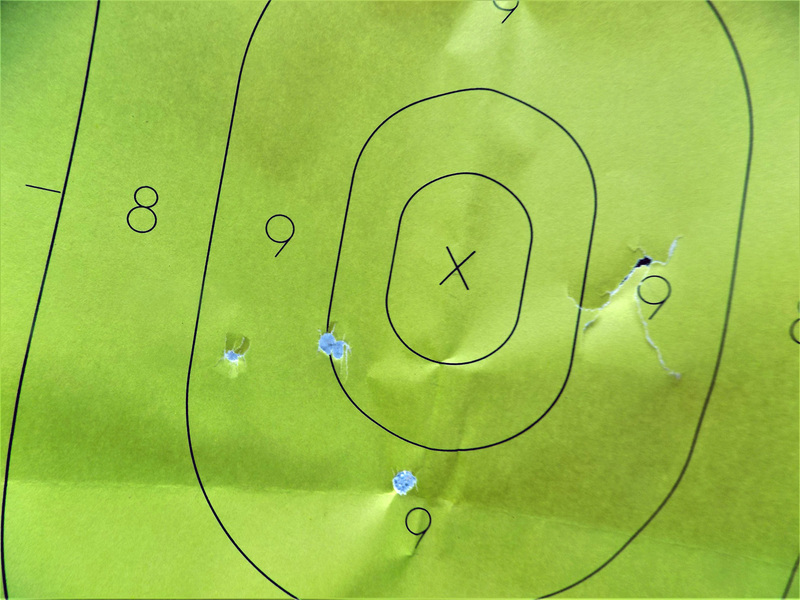 At 15 yards, five shots fired from a solid benchrest firing position yielded a 3-inch group. This is plenty accurate for personal defense. Another choice worth considering is the Winchester PDX 225-grain JHP. This load offers a heavy hitter at 780 fps. This bullet weight offers plenty of momentum. The .45 Colt is among a very few handguns that performs well without bullet expansion. This was proven in the Old West and in many engagements since. A solid choice is the Winchester 255-grain lead bullet. This bullet exits at 770 fps from the Judge. (And 778 fps from a 4 ¾-inch revolver on hand for comparison.) Penetration is about 18 inches, ideal for personal defense, yet recoil is mild. This is also a relatively accurate load with a 3-inch, 15-yard group. If the Judge owner anticipates a long shot, the .45 Colt offers proven wound potential without high recoil. The Judge is a specialized handgun. It isn’t a go-anywhere do-anything handgun by any means. But what it does, it does well. It is worth your time to explore the Judge. Do you have a Judge? Which ammunition has given you the best results? Do you use the Judge for home defense or vehicle defense? Share your answers in the comment section.